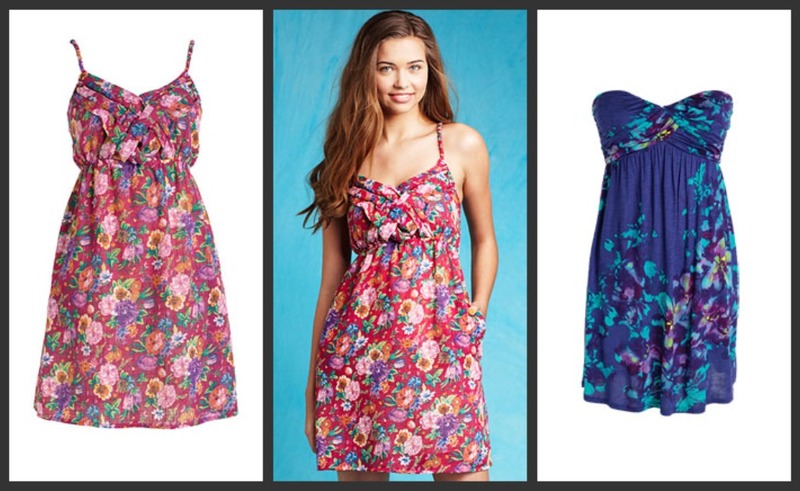 Find Your Perfect Spring Floral Dress! It is almost Spring time again! Now I am not that big of a fan of Spring because it is humid where I live in the Spring and I have a tendency to sweat and all.. but today my friend and I were walking to class and she said “I’m so excited for Spring! Oh sorry.. because I know you’re not.” And I thought about it for a second, then I replied “No, that’s okay. I’m excited to wear dresses again! (lol)” But not just any dress; I am super excited to get more floral dresses this Spring! Tomorrow is our school’s special guest speaker day so we all have a dress up day where the students can’t wear jeans or sneakers or stuff like that. It is pretty formal.. so I am planning to wear a floral dress with a black blazer over it and black heels! It is the floral dress that I showed in this haul post. I will include pics from the assembly and an outfit of the day in the my next post. Ahhh bows. How wonderfully girly. I love that navy one on the left. These would be perfect anywhere but especially if you are going to attend a spring or summer wedding! All four dresses costs $47.60. Okay, these first 2 dresses are from Hollister & Co. and the last two are from Abercrombie & Fitch again. lol The first two dresses look almost like they are made out of denim. The criss cross and ruffles add extra detail to this piece! They costs $39.50. I truly love the white dress because it would be super bright and gorgeous in the sun! It costs $40.60 and the last dress costs $58. Let me know if you are excited for Spring or which dress was your favorite! If you know of an amazing store to find floral dresses, then please let me know! I Can Cook! Check Out These Easy Recipes! Cute set of floral dress picks, I ADORE floral print anything. I usually wait for the dresses from hollister to go on sale though before I purchase, to expensive when it's retail. all those dresses are super cute for summer! Any dress with roses on it is a dress for me…hehe. H&M has some gorgeous floral pieces – you should check them out!